Audio-Technica kept the price of these to under $100, and they're one of the best value buys you'll find. For the price, the MPow H5 is hard to beat. You could get about eight of these for the price of one premium pair of ANC cans. ANC isn't the greatest here, but sound quality and design make up for it. Oh, and they're super cheap. Monoprice is no stranger to high quality products for low prices, and these continue that tradition. While they're not perfect, these wireless earbuds are a solid option at less than $100. Whether you’re commuting to the office or trying to block out some of the people in the office, noise canceling headphones are a great tool to have. The problem is that if you want some of the best noise cancelling headphones around, you’re going to have to break open your piggy bank and start counting pennies. But that doesn’t have to be the case. There are plenty of solid noise cancelling headphones under $100 that might be worth picking up if you’re in the market for a new pair of cans. Editor’s note: this list was updated on March 26th, 2019 to include new picks, relevant information, and updates in pricing. Audio-Technica is probably most known for its ATH-M50x headphones, and these are their quieter and way less flashy cousins. They have a black and silver design that won’t look out of place in an office setting and decent padding on each earcup and along the headband for comfortable listening sessions. They do have a wire which is both good and bad depending on what source device you plan on using. But if you wanted a wireless option, we have some other options for you. The ATH-ANC7B also folds flat for travel and can last 40 hours on a single AAA battery. Overall, they’re not a bad option considering you’re not even breaking a Benjamin. 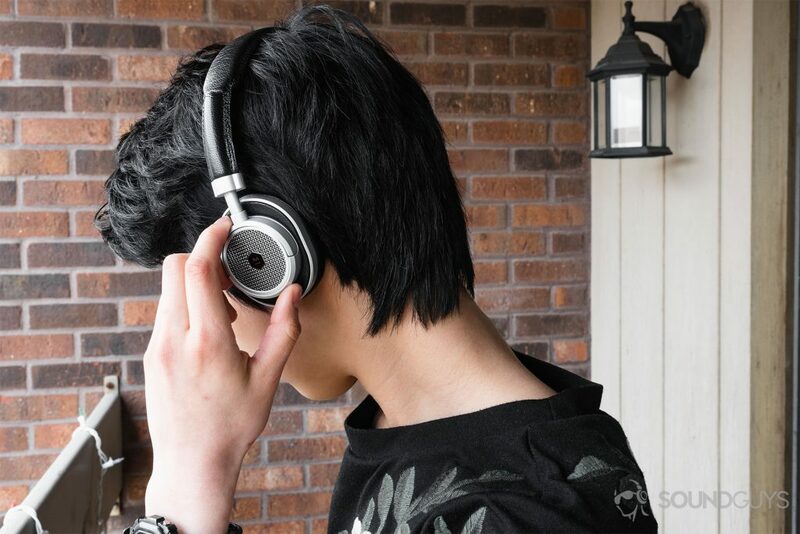 For commuting to school or elsewhere, noise cancelling headphones are a great choice for young people’s auditory health. Generally speaking, noise cancelling headphones are more expensive than their non-noise cancelling counterparts. That’s because there are more components packed into ANC cans, like extra microphones, to enable the technology. Unfortunately, the old adage, “you get what you pay for” applies to noise cancelling headphones under $100. While you’re still benefiting from the technology, the effectiveness of it can’t compare to the cream of the crop. Noise cancelling headphones use destructive interference to attenuate external noises. Bluetooth audio quality still hasn’t caught up with wired audio quality, and that’s fine. Most of use prefer Bluetooth for its convenience and are fine with the drop in audio quality when on-the-go. Noise cancelling technology at this price point isn’t going to blow you away, but if you pair it with some decent earcups that provide good isolation you might just find yourself with a good pair of cans. One such pair of headphones is the MPow H5. These inexpensive headphones are really only going to cancel ambient noise at best, but combined with the comfortable earcups and the roughly 30-hour battery life and they’re at least worth checking out. Like any good pair of ANC headphones, these also have hinges for folding and can really are fairly tough so you shouldn’t have any problem tossing them in your bag when you’re done with them. Still, at less than $50 don’t expect these to last too long. That said, considering you can get about eight of these for the price of one pair of Bose QC35 II, it might be worth it. Sony makes a lot of great stuff, so this next one should come as no surprise. Though again, the company has a—let’s say—unique method of naming its products. The Sony MDRZX110NC Noise Cancelling headphones are of the on-ear variety, so the passive noise blocking is less prevalent here than the others on this list. Still, if you prefer on-ears to over-ears while traveling these are the best you can get. To help with portability Sony included hinges, so you can easily fold them and stuff them away in a bag. On top of that, the ear cups swivel for a more comfortable fit. Like some of the other options on this list, these require AAA batteries to power them. One battery should last you about 80 hours of noise cancelling. If you keep a spare on you then you should be covered for quite some time. The Sony MDRZX110NC headphones have a 3.9-foot audio cable that ends in a gold-plated L-shape 3.5mm plug which helps to strengthen the durability of that connection. That’s pretty handy considering many people are going to be using these while commuting or traveling. Oh, and naturally they also come with an in-flight adapter. If you think these might be the ones for you, you’re not alone. Sony got it right with these. Monoprice knows a thing or two about keeping the price low, but that usually doesn’t result in bad products. On the contrary, the company’s setting the bar for how expensive good products need to be. Its active noise cancelling headphones are the perfect example of this. They have plush padding that keeps the headphones comfortable for long listening sessions, and the noise cancelling microphones can reduce outside noise by 15dB. On the other hand, if you prefer to give your low end an extra pump there’s also a bass boost option that can come in handy. These are wired (sorry Bluetooth fans). One downside to these is the battery life. Usually, when a pair of headphones require external batteries like AAAs, you get rewarded for the inconvenience with good battery life. But even though these take AAA batteries, you only get 20 hours of constant playback. When it comes to Bluetooth headphones, there aren’t many options if you want to spend less than $100. That’s just as true, if not more so when it comes to Bluetooth earbuds. Luckily, there’s the Phiaton BT 100 NC which get the job done with the help of a flexible neckband that packs all of the technology inside. Not only will you get NFC pairing, Bluetooth 4.0 with aptX, and vibrations for notifications, but they’re also surprisingly IPX4 water and sweat resistant. That said, it’s not all rainbows and butterflies here. You’ll only get about five hours of battery life and the ANC is – not great if we’re being honest. But there aren’t many other options at this price point. And good luck trying to find another pair of wireless earbud that you can plug into your source device to continue listening to music when the battery dies. SoundGuys is our daily grind and our mission is to leave our readers more informed and interested in the world of audio. We understand that audio is both an objective and subjective experience. In order to account for the former, we run as many products as possible through our objective testing methods. We do as many hands-on reviews as possible at SoundGuys. Ultimately, we want you to glean as much information from these lists and the linked features as possible. While our site does operate on affiliate links, we are transparent about our ethics policy.